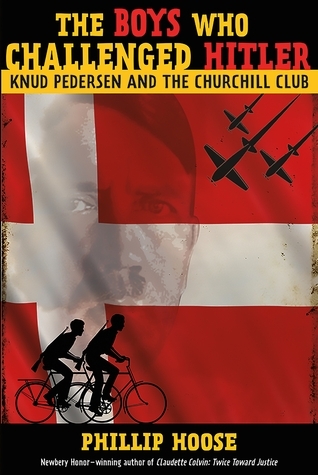 The Boys Who Challenged Hitler: Knud Pedersen and the Churchill Club by Phillip Hoose. Grades 7+ Farrar, Strauss, & Giroux, May 2015. 208 pages. This is a gripping true adventure story that will have wide appeal with kids. Much of the story is told in Knud Petersen’s own words, collected through hours of interview and hundreds of emails, which gives the book an authentic voice and brings the reader right into the action. And the action is nonstop. These brave kids had a fire in their hearts and they would stop at nothing to save their country from the Nazi invasion. You can find a booktalk, readalikes, and my full review on my blog! Booktalk: Have you ever built a cool science project? In middle school, Aprille Ericsson won second place in a science fair. She knew she wanted to keep creating amazing science projects. 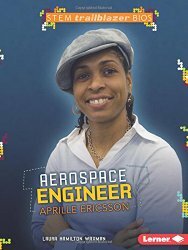 As an adult, she became an engineer and works at NASA building spacecraft. Ericsson was one of the few girls in her middle school who loved math and science. Years later, she became the first woman to receive a PhD in mechanical engineering from Howard University. At NASA, she’s helped build spacecraft that can map the moon, monitor climate change, or even bring soil and rocks back from Mars. Learn how Ericsson’s passion for science has helped her pave the way for future engineers. Snippet: One of Ericsson’s most recent projects will help scientists study the Earth’s polar caps. Greenhouse gasses are warming the North and South poles. The warmer temperatures are causing the ice caps to melt slowly. Scientists will soon be able to find out more with the new Ice, Cloud, and Land Elevation Satellite (ICESat-2). Ericsson was one of the managers in charge of creating a large instrument for ICESat-2 called ATLAS (Advanced Topographic Laser Altimeter System). The device wil be attached to ICESat-2 and will use lasers to measure the size of the ice caps. ICESat-2 is scheduled to launch in 2016. See how the lasers will measure the size of the ice caps for ICESat-2 at Goddard Space Flight Center’s ICESat-2 page Goddard Space Flight Center page. Find more STEAM booktalks and activities on the Booktalking #kidlit blog. Booktalk: For shy young Peter Mark Roget, books were the best companions — and it wasn’t long before Peter began writing his own book. But he didn’t write stories; he wrote lists. Peter took his love for words and turned it to organizing ideas and finding exactly the right word to express just what he thought. His lists grew and grew, eventually turning into one of the most important reference books of all time. Peter’s family moved often, so making friends was difficult. But books, Peter discovered, were also good friends. There were always plenty around, and he never had to leave them behind. When he was eight, he started to write his own book. On the cover, he wrote Peter, Mark, Roget. His Book. But instead of writing stories, he wrote lists. Trait: Ideas Writing a picture book biography can be tricky. How can you talk about an entire life with so few pages? You have to leave room for the art, too. After you do your research and are ready to write, begin with the most important idea. Why was the person famous? Focusing on this idea as you write your draft will help you decide what to include in the story–and what to leave out. 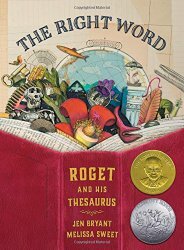 Roget was famous because of his book. And what kind of book was it? Find more booktalks with writing mini lessons on the Writing Lessons blog. 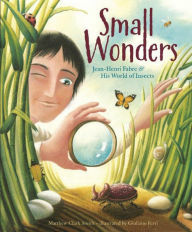 This lovely picture book biography is perfect for the budding entomologists in your personal or professional lives. Both the text and narrative work well to tell the story of one of the few scientists to ever win the Nobel Prize for Literature. Check out the full review at Proseandkahn. Copyright © 2014 Deborah Amadei All Rights Reserved. 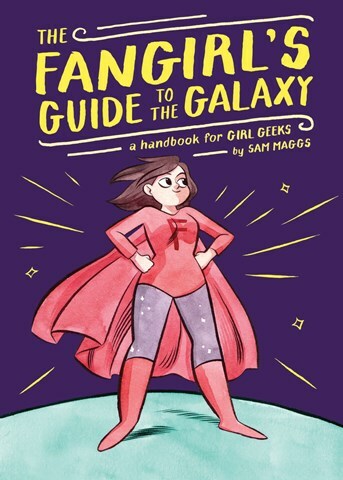 Although it is essentially a book about fandoms of all types (Trekkers, Potterheads, cosplayers, and the like), The Fangirl’s Guide to the Galaxy it is also a motivational book that entreats young women to embrace their fangirl passions without apology. See all of my news and reviews at Shelf-employed. Copyright © 2015 L. Taylor [Shelf-employed]. All Rights Reserved. 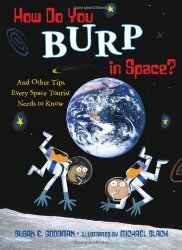 Booktalk: Want to blast into orbit? Walk on the moon? Snag a personal photo of a shooting star? Well your time is coming! And when it does, you’re going to need a guide filled with information. Grounded in the history of space travel and the planned future of space tourism, this guide book will tell you what to pack (hint: no bubble bath or juggling balls! ); what to expect from your accomodations (a sleeping bag attached to the wall), and what to do for fun (leapfrog on the moon!). Get ready to rock your rocketship! Snippet: Eventually, you’ll be able to orbit Earth or vacation on Mars. It’s too early to make reservations, but it’s never too soon to start thinking about it. This guidebook will help you enjoy your space adventure long before you board the ship. After all, how can you daydream about it without knowing what you’ll eat and where you’ll sleep? Or what it’s like doing all of this while floating upside down? Remember this day in history and explore the story of the first moonwalk on July 20, 1969. Watch the Footage from the Apollo 11 moonwalk. Find more booktalks and STEAM DIY Activities on the Booktalking #kidlit blog.